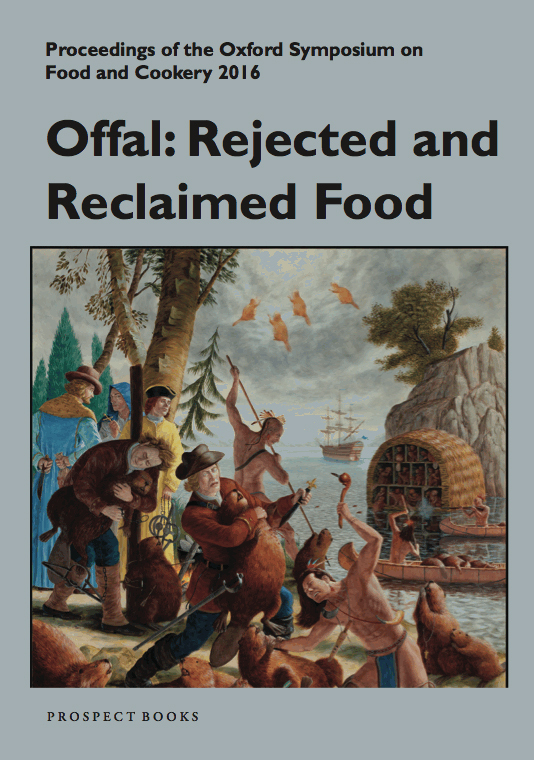 This year’s theme – offal, rejected and reclaimed foods – when taken in the broadest sense is a subject well-suited to the explorative ethos of the Oxford Symposium, not least because there’s no universal agreement on what actually qualifies as offal. Each culture has its own views on whether foods are acceptable or merit rejection. Even in neighbouring countries, differences run deep. For example, English ‘offal’ is linguistically related to the Dutch word ‘afval’ which means unambiguously ‘garbage’, a designation that includes most animal-intestines and extremities. The negative connotation of the word indicates automatic rejection of offal by the native Dutch. Nevertheless, within the nation, differences can be observed. In modern times, consumption of most varieties of organ-meats, traditionally unusual in The Netherlands, is having a come-back thanks to newcomers from all parts of the world. Goatheads, chickens-feet, blood, liver, testicles, stomach, udder and heart, are all available if you know the right butcher.